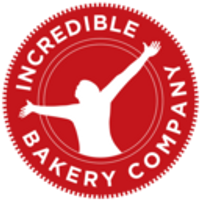 For local customers there is an option to collect Incredible products with no delivery charge from the Incredible Bakery Shop in Warkton. 1. How much does it cost for shipping? Delivery charge breakdown. Orders of £1 to £10 - £6 delivery charge. Orders £10.01 to £20 - £5 delivery charge. Orders of £20.01 to £30 - £3.50 delivery charge. Orders over £30 - Free Delivery. 2. Which company do you use for deliveries? We use the DPD next day courier service to make all deliveries. Next day means delivery is on the next day following production. 3. How long does it take to receive your items in the post? DPD make deliveries for us to any destination in the UK with a next day delivery on Tuesday, Wednesday, Thursday and Friday. For Northern Ireland we offer a 2 day service at the same cost as all other deliveries. 4. When do deliveries happen when there is a Bank Holiday? Our courier does not collect or deliver on an English Bank Holiday so for instance on May Day week we can only do deliveries on Wednesday, Thursday and Friday as we do a next day delivery. This ensures that the products always arrive fresh as a daisy. 5. Are items baked fresh the day they are shipped? Yes. We ship all products fresh with a next day delivery. 6. Is it better to order during the week as opposed to Fridays, so that product aren't held up on Sunday when there are no deliveries made? If you order during the week you will get your delivery quicker as we deliver on Tuesday, Wednesday, Thursday & Friday. As we ship the product fresh with a next day delivery, no delivery will be held up on Sunday at the depot. 7. Is there a time cut off for ordering during the week? You can request a delivery day in the comments box when you place an order. Otherwise: Cut off time for a Friday delivery is end of day on Wednesday. Cut off time for a Thursday delivery is end of day on Tuesday. Cut off time for a Wednesday delivery is end of day on Monday. Cut off time for a Tuesday delivery is end of day on Saturday. We're very sorry, but our products are made to order and cannot be returned. 9. What happens if my products arrived damaged? If your products arrived damaged please contact us directly on 01536 601 600 or through your order link and we will do our best to resolve the problem. 10. I have changed my mind and would like a replacement or refund, is that possible? Unfortunately, we can't offer a replacement or refund for any items you change your mind about after your delivery.